One thing I knew we were going to need with a new baby on the way was a new car seat. 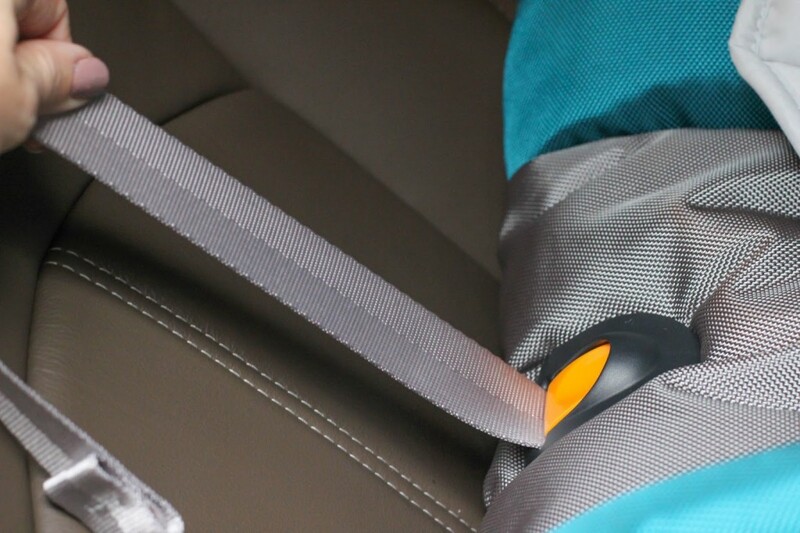 Car seat safety is something that is very important to me, so I put a lot of time in to researching carseats and checking them out in person to decide on what would be best for my family. After all this I’ve decided on the Chicco KeyFit 30 , which happens to be the top rated infant car seat in America. The KeyFit 30 is made to hold 4-30 pounds, which is a pretty large range for an infant seat (many others only go up to 25 pounds). And it shows – the car seat is significantly larger than the car seat we used with Maddie Grace, which is great as she outgrew hers so quickly and I’d love for this to last the new baby a little longer. The KeyFit 30 is ridiculously easy to install, which is a huge selling point for it. It can be installed either by the premium LATCH buckles or seatbelt, and has level indicators on the side to show you when it is correctly installed. There is a center-pull that also tightens the LATCH buckles so you won’t have to reach around the other side to adjust. I made my husband install it for me thinking it would be difficult, but he got so excited about how easy it was to install that he showed me to prove to me it was easy enough for even me to install, which is pretty important. The car seat pops right into the base and immediately felt secure. It’s also really easy to get the seat out of the base with the release on the back of the seat, which you can do with one hand. The stain-resistant fabric wipes off easily and is completely machine washable, which is incredibly important in a car seat, because we all know poop and spit up will end up on it. 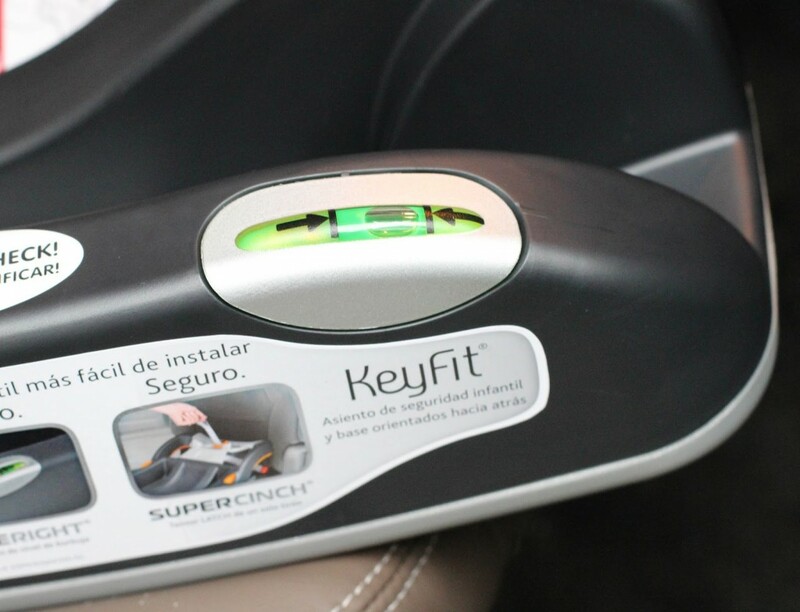 The KeyFit 30’s main selling point is that it is top of the line in safety features (read more about car seat safety here). The KeyFit 30 features side impact protection with energy absorbing foam. 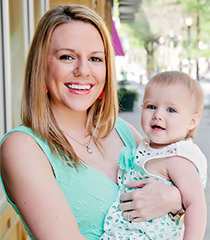 The five-point harness system keeps baby snug, secure, and most of all safe. It’s easy to adjust the straps so that they fit your baby perfectly. I drove around with the carseat in my car, even with no baby in it, and it stays put and secure. 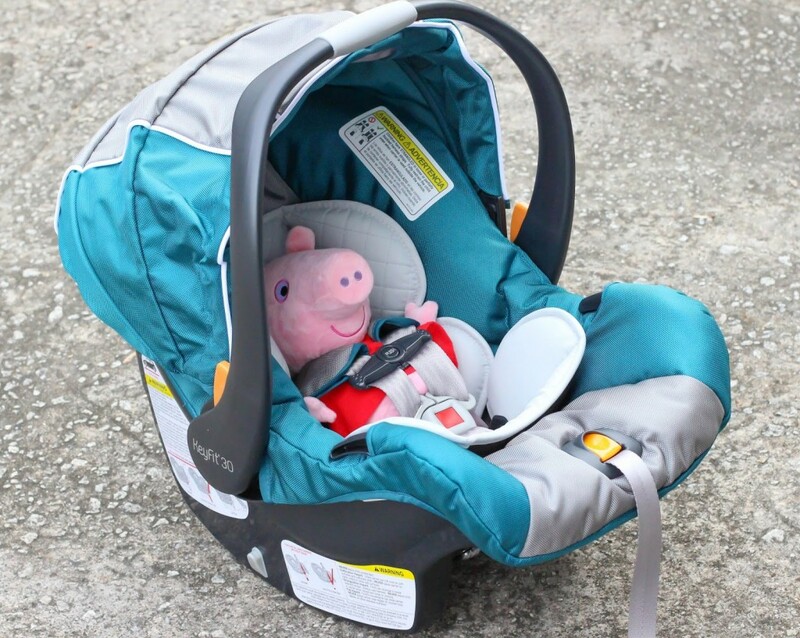 I love that Chicco is an Italian based company and their cars seats meet the European safety standards which are higher than those in the United States, and one of the things I’ve been told to look for in a car seat. So clearly I can’t fit in the seat and tell you whether it’s comfortable, and a baby won’t be able to tell you that either, but I can tell you that it seems like it would be very comfortable and the experts say that it is. I love that it comes with a removable plush infant insert. 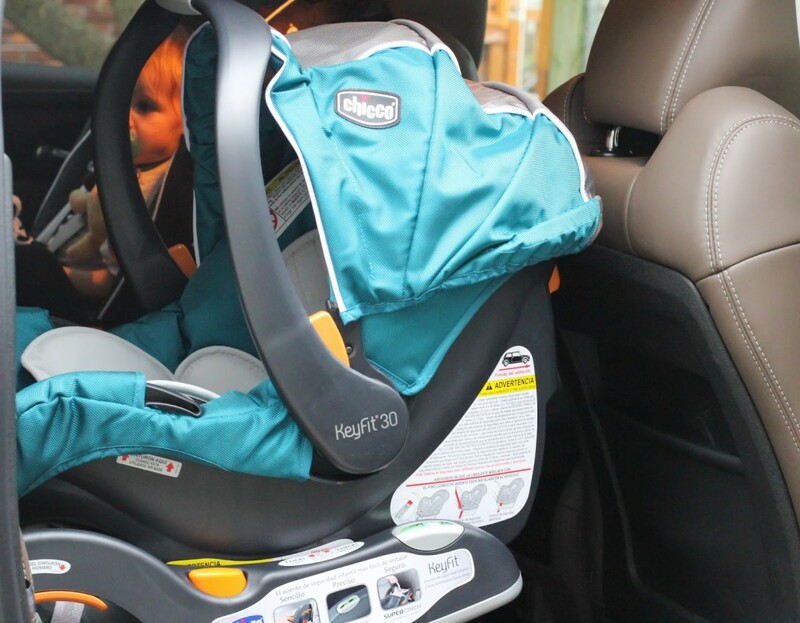 There is a large canopy for blocking the sun, which we all know is necessary with newborns, although the canopy isn’t quite as large as some other car seats I looked at. 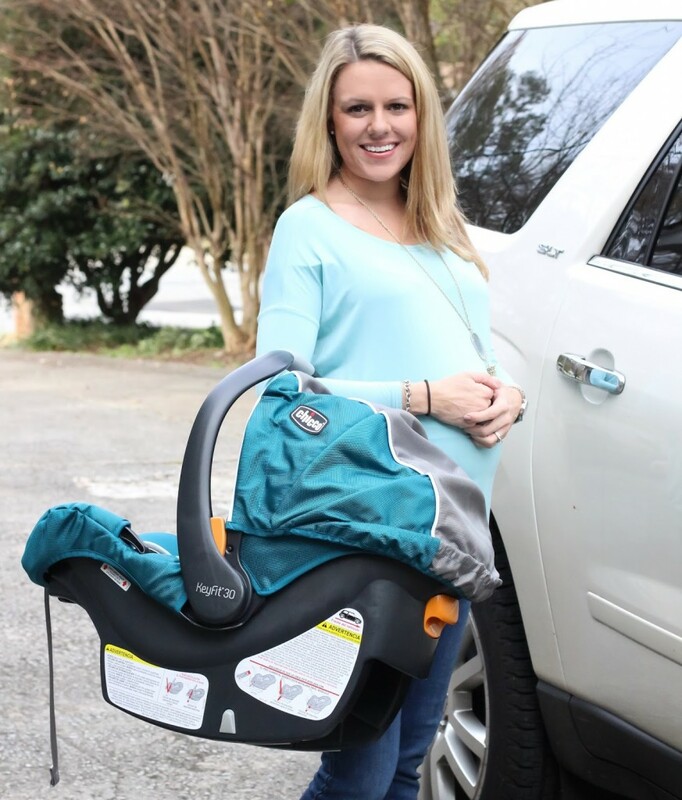 The KeyFit 30 is also comfortable for carrying, which is important to me as a parent, and is really lightweight for an infant seat at around 9.6 pounds. which is a great price for an infant car seat, especially given all the features the KeyFit 30 offers. I can’t wait to bring home our new baby in this car seat and look forward to lots of adventures with it! 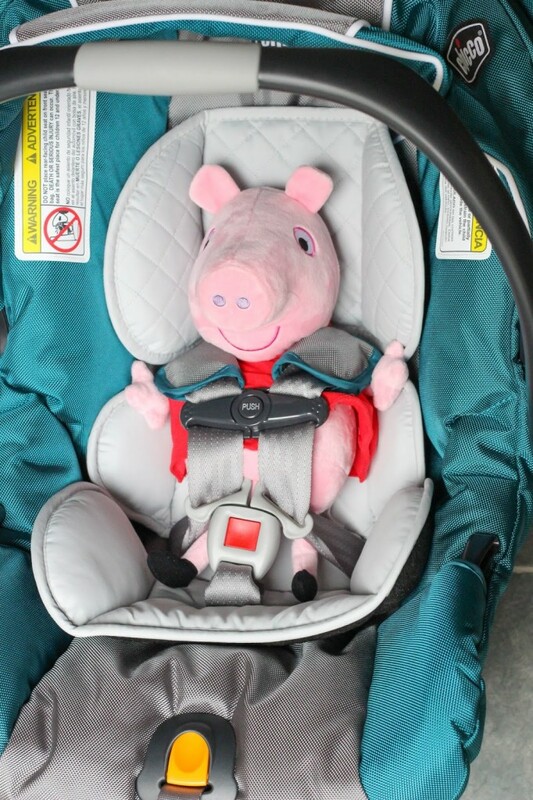 I love that Peppa is riding in the car seat! That's the car seat we used with Naomi and were using it again for this baby. Love it! This is one of the car seats we looked at for Harper. We ended up going with a different one, but I think I might look at the Chicco for her convertible car seat! What a great car seat! We use a Chicco as well and love it!